The principle behind everything on this site is the conviction (which I get from the Bible) that the gospel of Jesus Christ is the message God uses to transform lives. Kids need this good news in large, constant doses. Whether in Sunday school, Bible clubs, camps, family devotions, informal time together, or whatever our ministry to kids might be, the job God gives you and me is to show them Jesus—both his stunning person and his work to save us from sin. We must approach the Bible as more than moral lessons, wise sayings, or nice stories. We must be gospel teachers. One beauty of this is that as we teach the gospel we also learn to rest in it ourselves. We become free of guilty feelings about our parenting and teaching; Jesus took our guilt. We have less performance anxiety; Jesus, not our teaching, makes us accepted and worthy. We let go of the fear that we might get it all wrong; our trust is in Jesus, and he gets it right. I’m still learning all of this—both the teaching emphasis and the resting—but I’ve been practicing it for some time now and am getting better at it. My goal is to encourage you in gospel teaching and, I hope, to learn much from you as well. I grew up among the Navajo people in New Mexico, where my dad served as a pastor. I studied journalism in Missouri and then worked in television news for 15 years, mostly in North Carolina. I’ve also worked in college administration. 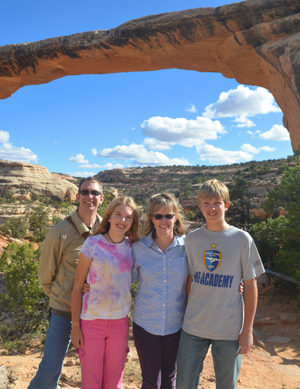 Now I live in southwestern Colorado with my wife and two kids. We’re nestled between the Rocky Mountains and the beautiful canyon country you see in the picture. I spend most of my time here writing, while also teaching the gospel to kids and teens at my church and at the area’s many Christian camps. I’ll happily tell kids about Jesus just about anywhere I’m asked, and I’ll work with most Bible-believing ministries that affirm the good news of salvation in Christ alone and his atonement for sin. My convictions are most closely in line with evangelical Presbyterianism, but I have also worshiped and ministered with Baptists. This statement of faith by B. B. Warfield makes a good summary of those beliefs I consider to be most important. As for influences, I love several Puritan writers of the 17th Century and thereabouts. This isn’t nearly as boring and uptight as most people imagine. The era produced extraordinarily godly men and women who were passionate about Christian life—not a moralistic sort of life but a faith-filled one in which hearty obedience to God flowed from looking deeply and constantly at Jesus. 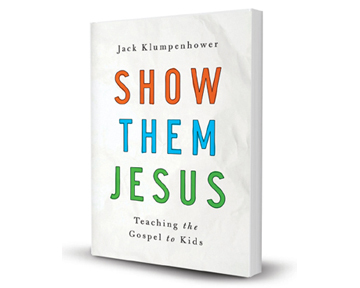 My book, Show Them Jesus: Teaching the Gospel to Kids, was published in April, 2014. In it, I share stories and gospel-centered teaching ideas from my own experience as a Bible teacher. 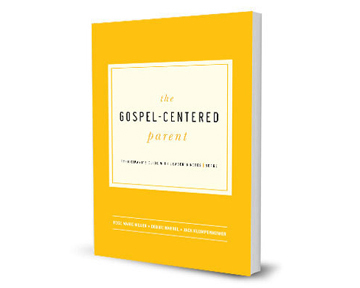 With co-authors, I’ve also written a series of discipleship lessons for tweens and young teens and a small-group study for parents, The Gospel-Centered Parent. Still more of my writing is available online, at the New Living Translation’s Bible study resources page. Thank you for that encouragement, Leslie. It’s good to meet you! About every other year at our Baptist church I teach a workshop for young moms entitled, “Teaching Your Children and Grandchildren Scripture”. I usually order many copies of Kara Durbin’s book, “Parenting With Scripture” and have them available for the ladies to buy from me. As I was ordering the books this year on Amazon, your book’s cover was shown as a “suggested book I might also like.” Both the directness of the title and the simplicity of the cover struck me. Well, once I started reading I realized that certainly your are direct in your teaching, but there is absolutely nothing simple about what you are trying to say : Simple – no , Vital – yes! My husband and I teach kindergarten Sunday School and our church is experimenting with The Gospel Project – a curriculum that teaches Jesus from Genesis to Revelation. We are using that with the Jesus Storybook Bible. Your book is dead on with these teachings. Our VBS theme this year is teaching about Jesus. God is speaking to the body loud and clear! I was wondering if you ever do any speaking/workshop events at churches and if you would ever consider coming to our church in Opelika, Alabama. Others need to hear your philosophy which is clearly a word from God. Thanks for the encouragement, Judy. I agree that both the Gospel Project materials and the Jesus Storybook Bible are excellent resources. I’ll contact you separately about the speaking thing. Hi. My name is Bethany Tapp and I am the Director of Children’s ministries at the United Christian Church of Dubai. On the day your book was released one of my classroom coordinators sent me the link and we both devoured the 2 chapter preview in a matter of minutes. I’ve now bought the book and read the rest. Over the course of the last 8 years or so, we’ve seen a transformation in the desire to teach the gospel to the children of the church and have been very encouraged by it and it was so great to see such an amazing resource that I could point my volunteers to. Many who have started reading, have resonated with the way your heart changed and have been encouraged by your teaching. 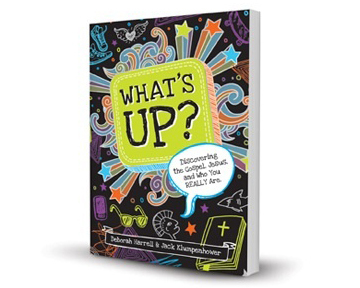 I write all the materials our church uses for children’s ministry and have been personally challenged/ encouraged by your book as well. We also share our materials with about 7 other churches in the area (most of who are plants of our church or plants of plants). One of our elders and I have been talking about the possibility of hosting a regional children’s ministry conference (for UAE, Oman, Qatar, etc.) sometime in the future where we could encourage volunteers to proclaim the gospel as well as help to provide some practical hands on teaching training. After telling him about your book, he suggested contacting you to see if you would ever consider coming to Dubai to speak at an event like that. Hi Jack, This book was wonderful and so helpful! Thank you so much for writing it. It has helped me understand the gospel and it has helped me to teach it! I read Show Them Jesus once, then my grandpa read it, and then my mom read it–all of us agreeing that it was one of the best books we’ve ever read. I would like to read it again and I’m not a super strong or fast reader. Is there an audiobook version I could purchase? Thank you, Jenna. I’m sorry to say there is no audiobook. The book is not quite popular enough for that. Thank you thank you! I’ve only read the intro and already know we will read this together as a staff this school year. I’m grateful for the printables! God bless you for sharing with us the tools we need to be effective witnesses!